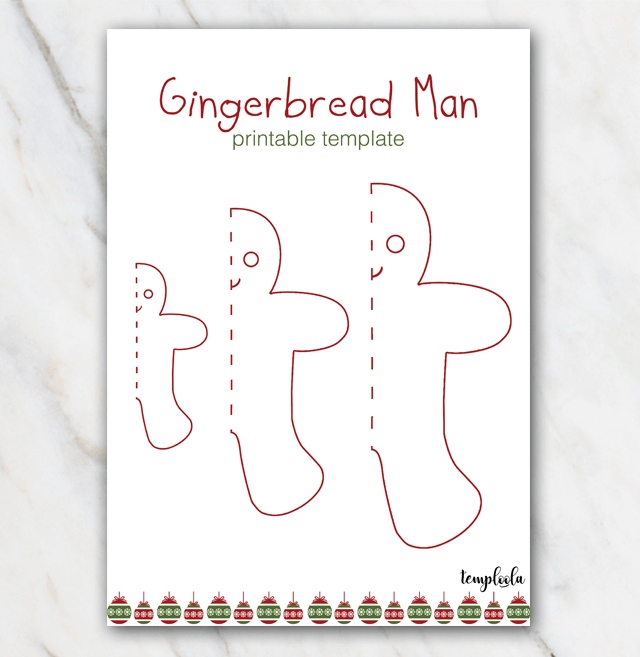 This is such a cute gingerbread man template in red and green! You can download the PDF for free, print the template at home and cut the different shapes. There are three different sizes, for you to choose which one you prefer. Don't want to spend your color ink cartridge on this template? No worries, there's also a black and white edition of the same one, check it out!